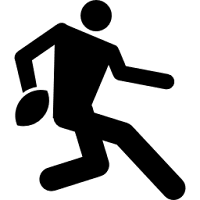 It’s that time of year again as yesterday evening yours truly, despite legs that barely move and a heart and lungs in serious need of counselling, embarked on a 12th summer season of Touch rugby. As it turned out a couple of weeks of light practice had done very little to prepare this knackered old carcass for the pace and intensity of our first fixture of the season against a very fit and young (pretty much exclusively young men in their 20s) Chiltern Barbarians. A mixed (gender and age) and slightly understrength Dave’s Dad’s Dog’s Dead team were unfortunately no match for our fast and skilful opponents, although we did hang in there as best we could to limit our defeat to 11-14 – not too shabby all things considered. My personal contribution involved much scrambling in defence, a few carries in attack, a fair bit of ineffectual hanging about on the wing and an awful lot of gasping for breath and wondering if anyone had remembered to bring the defibrillator. 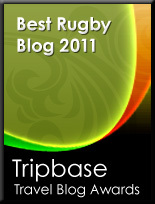 By pure coincidence yesterday was also the 10th anniversary of the very first post on this blog. Yes, a few of you (and you know who you are) have been putting up with this drivel for 10 long, long years. Ten years ago I was beginning my 2nd season of Touch and was nursing various aches and pains after a narrow defeat in the first game of the season. Congrats on the 10 years, been reading since the start though I can't for the life of me remember how I found your blog at the time!